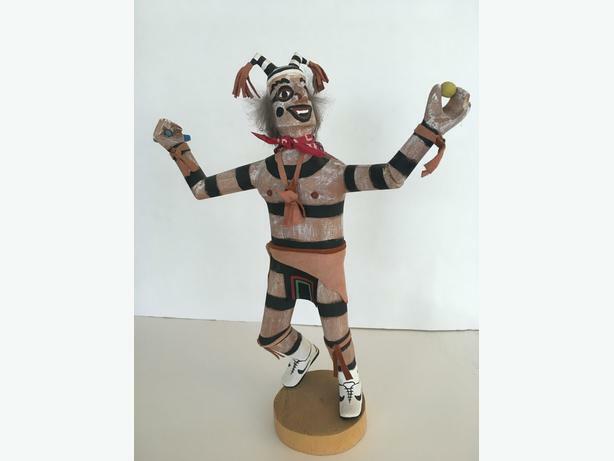 American Navajo Kachina Doll Clown leaning on a baseball bat holding the ball up high. This is a vintage Navajo Clown Kachina Doll "Baseball Anyone". This is handmade and signed on the base by F. Begay. Painted wood, fur and hide. Highly collectible in MINT condition.